I really enjoy baking vegan recipes. I have a family member that is dairy free, so there are often dairy free or totally vegan recipes happening in my cucina. 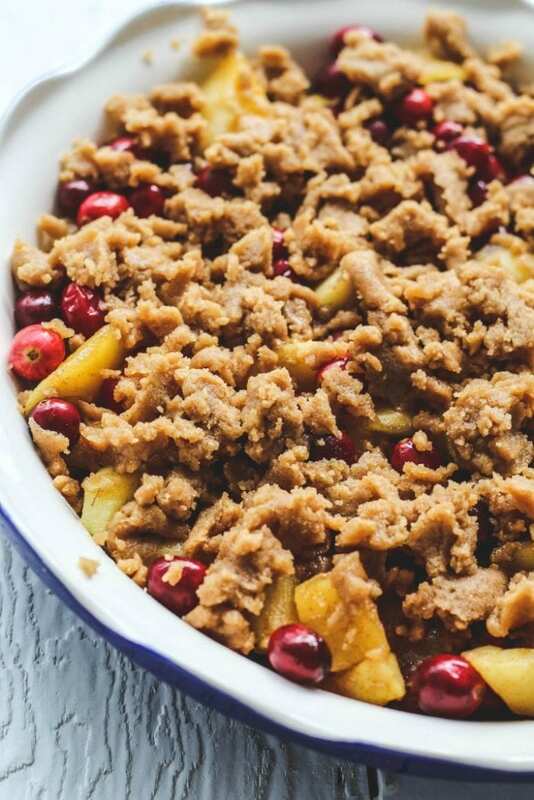 This Vegan Maple Apple-Cranberry Crumble is the perfect fall dessert. It’s loved even by those that aren’t following a vegan lifestyle. 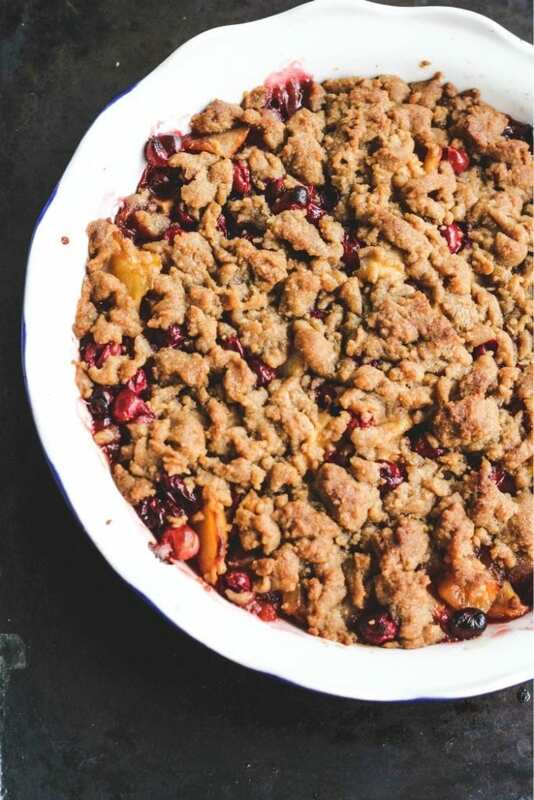 The crumble is made with a vegan margarine (I like Earth Balance) and is totally delicious with the soft and sweet apples and tart cranberries. I made this yesterday afternoon for Thanksgiving. Our vegan friends from Portugal were joining us for our very Italian Thanksgiving (there were almost 20 of us again!!). I’ll try to come back and share some photos. IS AN APPLE CRISP AND APPLE CRUMBLE THE SAME THING? A crisp and a crumble are not the same thing, but if it wasn’t for their topping, they would be the same thing. A crisp topping is made with a combination of flour, sugar and butter. 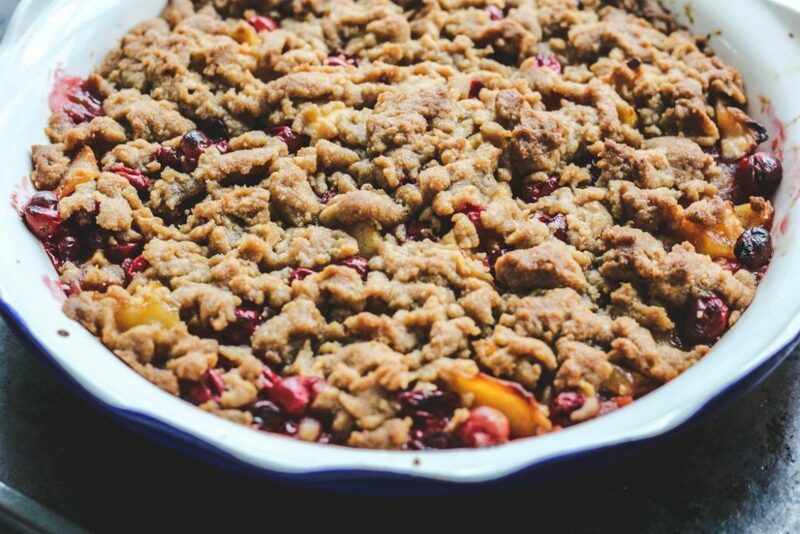 A crumble is a baked dish of fresh fruit (berries, apples, plums, etc.) that is topped with an oat-based streusel. A crisp is just like a crumble-but some say crisps never have oats, and some say they do! I made my crisp without oats. Feel free to add oats to your topping. WHAT KIND OF APPLES ARE GOOD FOR AN APPLE CRISP? You can use just about any kind of an apple for baking an apple crisp. Crisp and tart apple varieties work better than the sweeter varieties. You could try Granny Smith, Empire or Honey Crisp. You could even mix together all three apple varieties. HOW MANY APPLES ARE IN AN APPLE CRISP? There are 6 cups of apples, peeled, cored and thinly sliced (which is about 6-8 apples-use a combination of sweet and tart baking apples). The part of this post is original text from 11/11. My dear dad passed away a little more than a year after I wrote this. I miss him very much. He was such a part of my baking and cooking. Even though he was very sick and could barely eat, he loved to sample my baked goodies and other dishes. He always gave me tips and really great compliments. This was maybe one of the last things I baked for him and wrote about. The other day he reminded me it’s been months since I made him an apple crisp. I can’t say no to my sweet pops. He wanted me to give him a baking lesson. He helped me cut the apples and make the crumble. He says he will give this recipe a try one day. He left with his portion and was totally thrilled. I get him to visit us a little more often if there’s the promise of freshly baked apple dessert. I made a mini one for my dad. He requested for his to be made without any cranberries. *Originally published on 11/11. Updated text and photos. 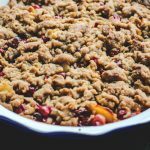 Vegan Apple-Cranberry Crisp is the perfect fall dessert made with sweet apples and tart cranberries. The crumble topping just may be the best part!! Enjoy with a scoop of your favorite vegan ice-cream. Wash the cranberries (if using fresh) and eliminate any bruised or mushy ones. In a medium sized saucepan, cook the apples, sugar and cinnamon over medium heat until the apples begin to soften (approximately 10 minutes). Combine the brown sugar, flour, cinnamon and Earth Balance margarine (or butter) in a bowl. Blend with your fingertips until the mixture resembles coarse crumbs. Set aside. Fold the cranberries into the apple filling. Spoon the apple filling into a deep baking dish or pie plate. Top with the crumble mix. Bake for about 30-45 minutes, until topping looks crunchy. You want the fruit to start to bubble. If the topping starts to brown too much, cover with foil until complete. *Bake with foil under the baking dish to catch any spills. Take care when removing from the oven as the fruit will bubble and will be very hot. Yum! One of my upcoming recipes will be something with fresh cranberries too. What a lucky dad you have! He gets fresh baked desserts and he gets to participate in making them! I really, really need to make an apple crisp this fall and I have certain family members who would certainly appreciate it being vegan and pumped-up with maple syrup. this looks perfect and your Dad sounds like my kind of guy! What a treat to be able to bake with your Dad. This crisp looks wonderful and I'm sure made for a very happy pappy! 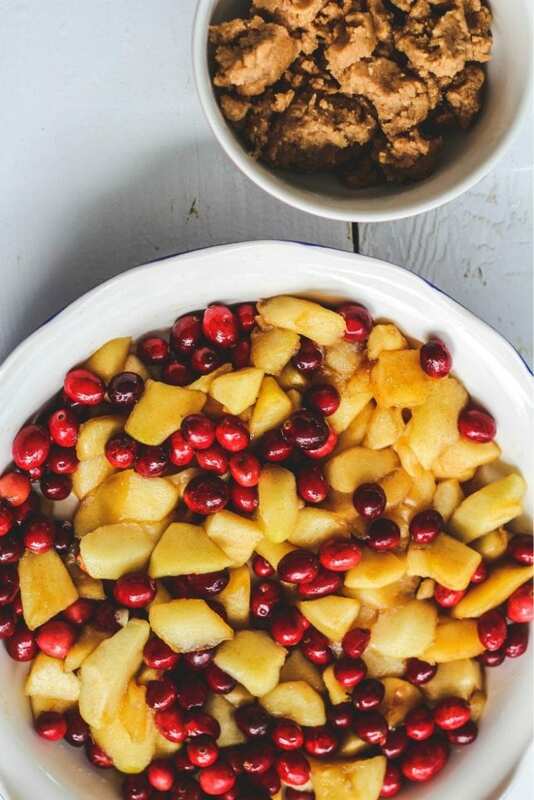 Mmmm smells like apple and cranberry season… Looks luscious and now I need to think of something special for this combo. I love what you have going with your family. You guys are so cute! This cake sounds delicious. I love maple and anything with streusel! 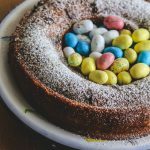 This recipe sounds so comforting and delicious – – sounds perfect with the cool weather coming so quickly. I'm having a vegan lunch on Monday – this will be dessert. Your dad is so cute with his not-so subtle hints 🙂 I love vintage cookbooks and your vegan twist on the maple syrup cake. Really enjoying Christianna's vintage book recipe swap idea. I wondered where you were…but then I always know where you are1 I love a crisp but now really crave one with cranberries. I am nuts about them! I make a cranberry maple sauce for Thanksgiving. So very yum, so I just know this is too! This looks fantastic! I love the cranberry/apple combination and seriously think there's nothing better than baking with dad 🙂 PS: I have a holiday giveaway going on right now! My grandfather used to do that and i would get in the kitchen no matter what was going on. Very delicious looking crisp, bet the house smelled awesome! Love a great crisp! I like seeing the cranberry in there; I think too many people are afraid to use it outside of the standard sauce. I love how your dad drops hints about baking. My husband does the same! This looks so pretty that the uncooked version even looks good! Yay, Lora! 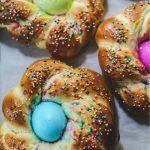 Such a great twist on the recipe! 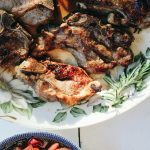 So glad you made it into the swap, I always love reading your amazing recipes (and stories). OH MY – this looks like it has all the yummy stuff in it. Fabulous! This is a beautiful crisp! That is so sweet of you to make that for him. Don't you just love hints like that? So flattering when your efforts are enjoyed and a part of someones memories. I hope you are having a good week, my friend! I would truly give anything to have the chance to make this with my father.. 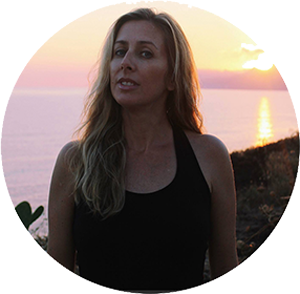 I am so happy that not only you have the opportunity but you are taking full advantage of it! This truly is a perfect dish to make together!! 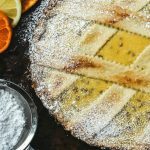 Both you in Florida and I in California do not experience the frigid winds of the north, but this dessert is perfect for this season. And I love the addition of cranberries! Oh this looks sooo good. I love that you're sharing this with your dad. Sweet as can be. Love sharing the swap with you. This is absolutely droolworthy! I can't wait to give this a try!